Sir James Outram (1803-1863) at 17 started his long career as a soldier and political officer in India, and in the 1st Afghan War (1839–1842) and Sind (1842–1843) as well. In 1854 he was appointed Resident at Lucknow, and carried out the annexation of Oudh on behalf of the East India Company, and against the wishes of its inhabitants. He is best known for his role during the relief and capture of Lucknow. Outram was a brilliant soldier and a shrewd diplomat. He brought about many triumphs in military operations serving the undeviating interests of the British. In recognition of his extraordinary services, ‘Her Majesty had been pleased to confer the dignity of baronetcy on Sir James Outram.’ He was also presented with the freedom of the City of London, and a sword of the value of a 100 guineas. 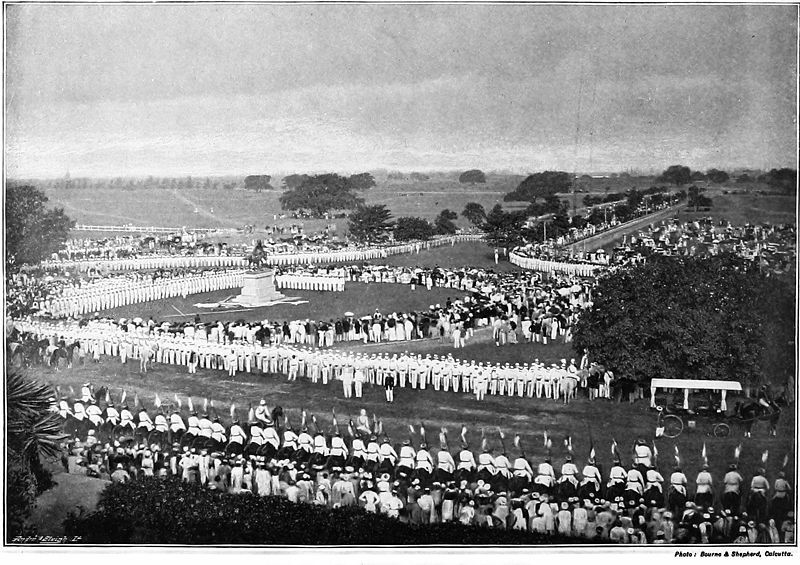 On the eve of Outram’s last journey home, the Friend of India fervently broadcasted, “To-morrow the Indian army will loss its brightest ornament, and every soldier in India his best friend.” See Bayard of India/ Trotter, The overzealous pronouncement by the English press, however, was found true only for the Britons in Indian army, and not for the soldiers of Indian origin who were most unlikely to share any soft sentiments toward General Outram because of historical reasons. Outram was known to be a kind-hearted, generous man of ability and power. There is, however, little evidence of any gracious act he ever did that benefitted the people of India during four decades of his stay. Perhaps it was his other traits of character that had made him ignore the interests of the natives of India. Outram, as we understand from his biographers, was a sort of fixed-minded man. ‘An idea too often got complete command of him, and it was then difficult for him to see the other side of a question.’ This could be the reason why Outram had failed to see the other side of Sepoy Mutiny with due compassion and respect. Duties apart, there is one thing Outram did for his own contentment. It was a kind of library facility that he designed to serve the needs of the British troops. He expended about £1,000 to provide readable books, newspapers, and games for the use of those who had shared his Oudh campaigns. The 5th, 64th, 75th, 78th, 84th, 90th, and 1st Madras Fusiliers received regularly, some of them for two years, a dozen or more of daily and weekly journals. And when he left Calcutta he made over the suitable books of his own library, about 500, to the Soldiers’ Library at Fort William. As we understand from Evan Cotton, this soldiers’ institute and garrison school continued to function in his time at the ‘Governor House’ once built for the Governor General in 1802, adjacent to St Peter Church within Fort compound. 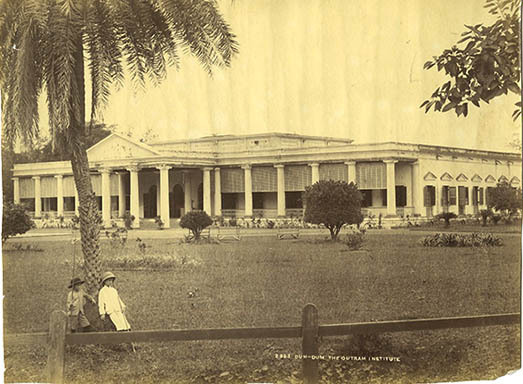 A more permanent record of Outram’s personal interest was the Soldiers’ Institute at Dum Dum, which he established and equipped with the greater part of the amount of Re 10000/ he received as a parting gift from the British community in Calcutta. This happened to be one of the earliest institution of its kind, with the objectives to counteract the temptations to which he was distressed to find the men at that station particularly exposed. The Institute was enthusiastically opened soon after his departure on July 16, 1860, and named Outram Institute after him. The Institute ultimately reunited with the Fort William soldiers’ library where Outram had initialed his project. Besides the Outram Institute at Dum Dum, and the statue of Outram in Maidan, the British Government took initiative to commemorate him by founding Outram Ghat – an important port on Hooghly in the 19th century, that became later a popular joint for playing billiard or enjoying tea at tables on its deck. There also exists in Calcutta a street named after Outram. The memory of Outram has been virtually lost with the removal of his statue from Maidan, and there has been no Outram Institute at Dum Dum any more to mark his singular humanitarian effort. A faceless street and an idle ferry ghat can do little for reviving the image of the British hero. His image may be dead or alive in public memory, the relevance of Outram, however, remains undeniably historic. It was none but General Outram who dictated the way Nawab of Oudh was deported to Calcutta accompanied by his fleets of attendants, companions, and entertainers. They all settled with their master in Metiaburz and spread their arts and crafts all around. Calcutta must not forget that if there were no Outram, Calcutta would have been deprived of the cultural enrichment gained through her chance interactions with the Awadhi Society. The image featured at the top: Outram Institute, Calcutta. Albumen silver print of photograph taken by Captain R B Hill. Note: The date of the photograph should be sometime after 1860, and not 1850 as generally presumed. Because the photographer Captain R B Hill did join Bengal Army cadet only in 1855, and the Institute came into being after departure of Sir Outram in 1860. Courtesy: Metropolitan Museum, Gilman collection. 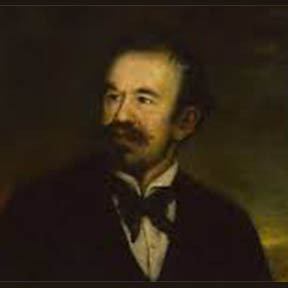 The Portrait of Sir James Outram, oil on canvas by Unknown Painter. This entry was posted in British, British Rule, Celebrities, Company Rule, Libraries/ Archives, Maidan/ Esplanade, Memorials, Monuments, Military Installations, New Township, Raj Officials, Welfare Institutions.